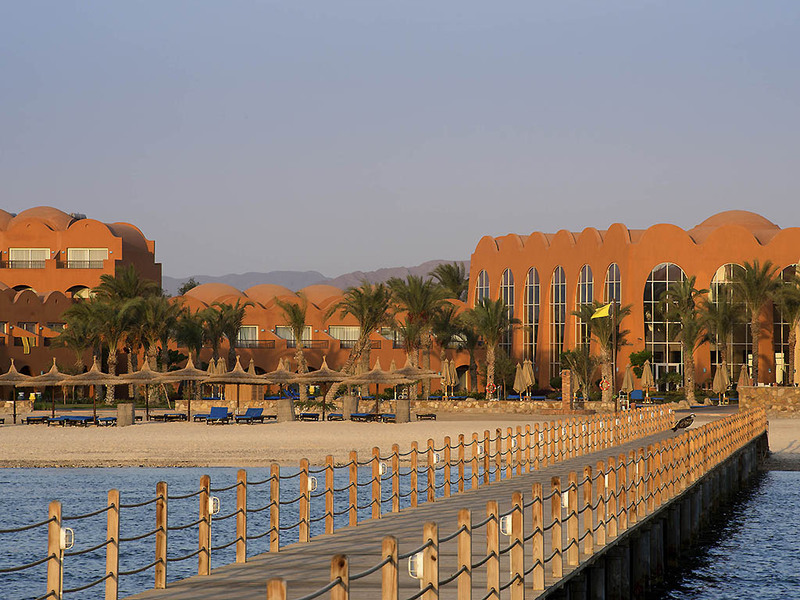 Treat yourself to a 5-star resort experience at Novotel Marsa Alam, directly overlooking the Red Sea. Guests have a choice of Four pools or a large private beach for lounging and swimming. While parents pamper themselves with treatments at the Inbalance by Novotel spa, children play with new friends at the Kids Club. Five restaurants and bars offer a range of dining options, or 24-hour room service provides delicious meals to enjoy while relaxing in your elegantly appointed room. With its contemporary design and spacious terrace overlooking the Sea, La Palme restaurant offers breakfast, lunch and dinner buffet with live cooking. Enjoy a wide selection of cocktails and drinks in a friendly cheerful atmosphere with special evening events and live entertainment.